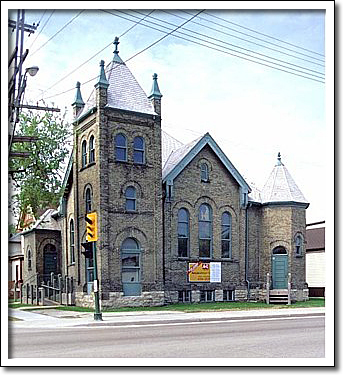 The former Scandinavian Mission Church was constructed in 1897 to the designs of Winnipeg architect Hugh McCowan. The new church accommodated the religious and social requirements of Winnipeg's turn-of-the-century Scandinavian population. This group, predominantly of the Lutheran faith, was comprised of people from Sweden, Norway, Finland, Denmark and Iceland, the latter forming the majority population of these new settlers to Winnipeg. By 1900 a strong Scandinavian community had developed in Winnipeg, centred along the east end of Logan Avenue. In addition to a place of worship, for over fifty years the church was used as a meeting place and resource centre for newcomers and residents alike. The Church closed in 1975. In 1990, the structure was saved from demolition and was restored and rehabilitated for commercial office space.